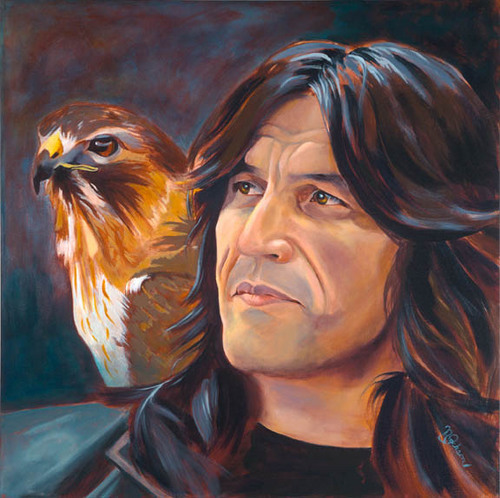 Norma is a Federation of Canadian Artists award winning West Coast artist. Her art often reflects meaning and emotion in her perspectives of West Coast images, people, portraiture, and pure visualization. 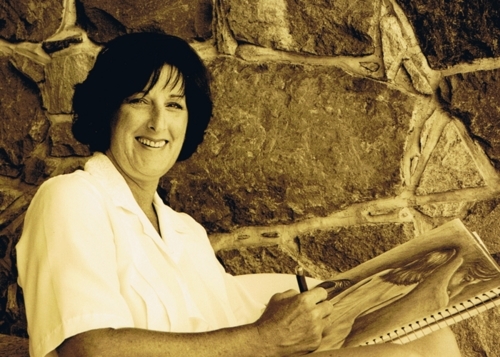 Her studio gallery is surrounded by a woodland garden overlooking Bings Creek and Mt. Tzouhalem. Originals, prints and cards in watercolour, acrylic, 3 Dimension, and clay are available for viewing and purchase. 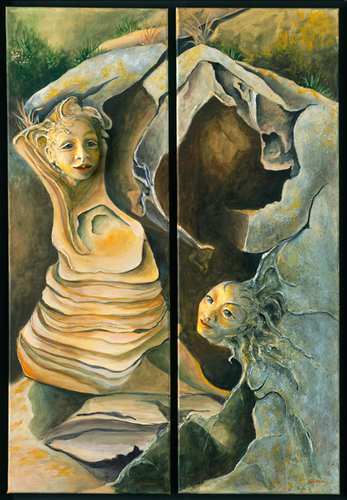 You can always view her new works on her frequently updated website. She welcomes visitors to her studio. Simply phone to arrange a time. â�� Emergingâ��. 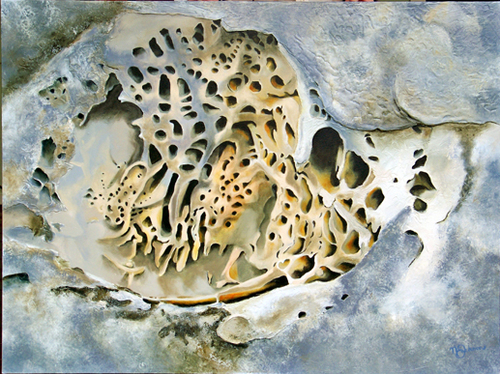 Sandstone Cave Series...Images while sailing the Gulf Islands BC reflect the three aspects of human nature. Winner of an "Honorable Mention Award" from the Federation of Canadian Artists. An "Emerge Art" piece combining sculpting with painting. â�� Natureâ��s Mandalaâ��. Sandstone structures on the West Coast are the result of natureâ��s storms. As the Winds blow, granules of sand carve the most beautiful structural images. This sculpturereminded me of a Mandala, intricately carved by an invisible hand. â�� Simple Pleasuresâ��. 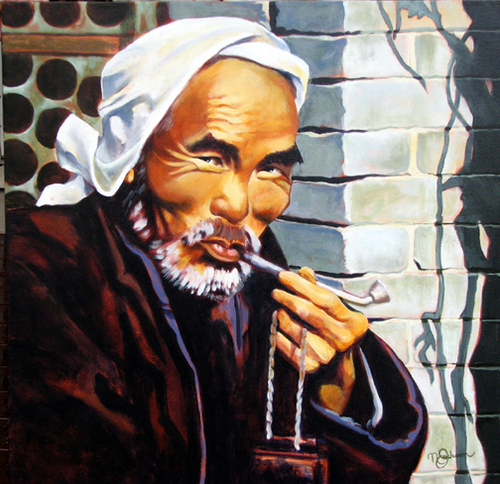 This image was seen in a small village near Xian China in 1983.Â Virtually every elderly man in the Village had a pipe permanently attached. Open daily by appointment. Call (250) 701-0808 to arrange a time that will work for you.